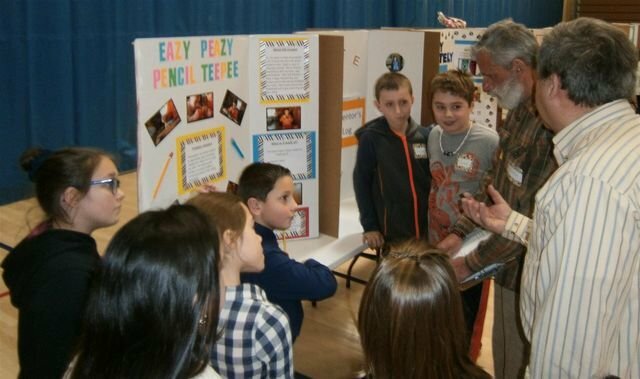 The following students are moving to the 2016 state level CT Invention Convention at UCONN’s Gampel Pavilion on Saturday April 30th. Congratulations to all of our inventors who presented. The 2016 Invention Convention has been programmed. Beginning at 2:00 pm this afternoon it will air at 2:00, 6:00 and 10:00 am and pm through and including this weekend. What a pleasure it was to do this project and thank the 3 students who took the time to do interviews for the viewers. It airs on Frontier TV channel 99, Wolcott Governmental TV. and www.wolcottct.org link to [wlct96]. It will not air on Comcast channel 96 do to problems with Skye Cable. Mrs. Miele will receive a copy to put on Eagle TV Comcast channel 16 on Wed. to add to her programming if they choose.